Depawater recently provided a solution for a property that was going through the sales process and where, unfortunately, the existing septic tank was outside of the property boundary and hindering the resale process. 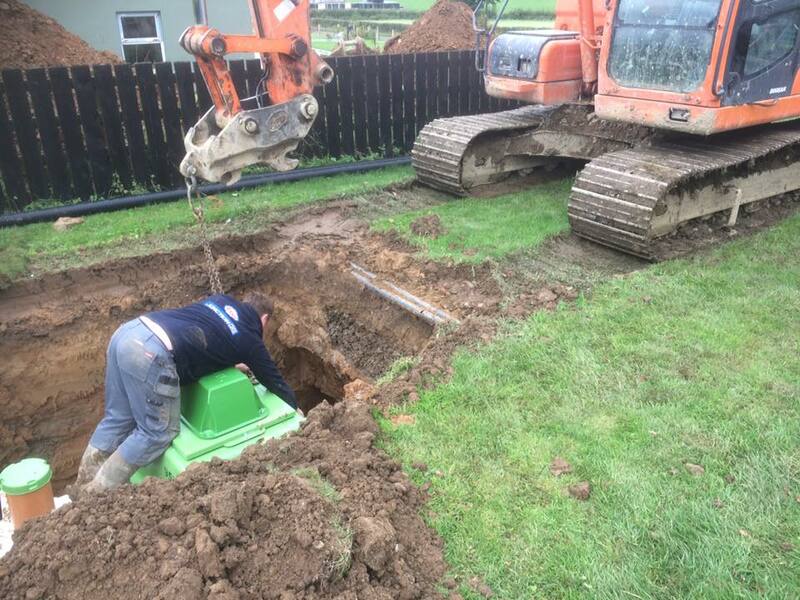 With a new family anxious to complete the sale on this beautiful new home in Portadown, County Armagh, their hopes and dreams were put under strain when their solicitor discovered that the existing septic tank was situated outside the legal boundary and did not have a consent to discharge from the Environmental Regulator. A consent to discharge from the Northern Ireland Environmental Agency (NIEA) is a crucial part of the legal paperwork required for buying or selling a property that has an off-mains wastewater treatment system, and it is not possible to complete a sale without it. First of all, a consent to discharge from the NIEA was needed, and in a hurry. The mortgage offer for the new vendors was soon to expire. 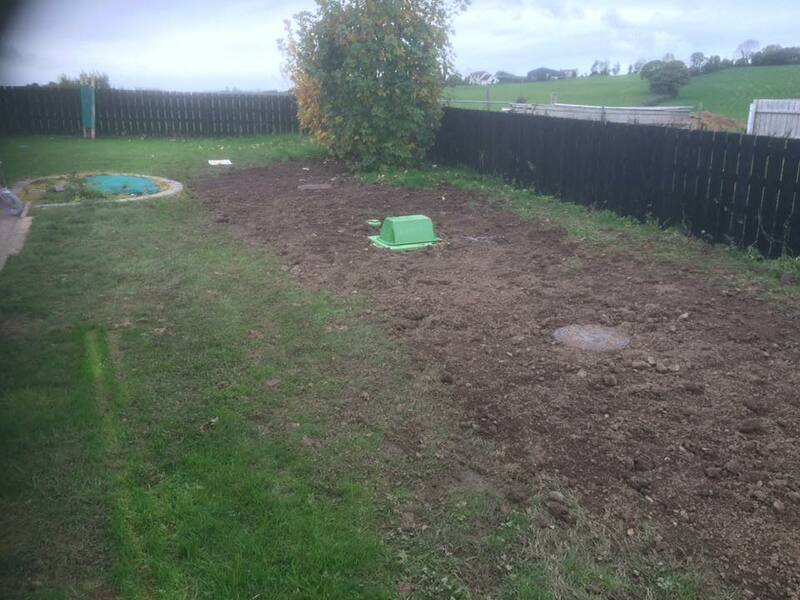 The limited availability of land for a soakaway coupled with the poor on-site drainage meant an on-site/off mains wastewater treatment solution was needed. Without this, the sale was going to fall through. The required solution needed to be fully compliant in order to obtain a consent to discharge approval from the Regulator. It also needed to be very reliable and effective for the needs of the new, young family that were moving in. Secondly, the new domestic sewage treatment plant needed to be correctly sized to suit the needs of this family of six. It was also necessary to gain consent to discharge approval from the NIEA and to ensure the treatment solution was economical and could be installed as quickly as possible for the new family to complete the sale. All these factors were essential for the clients to be able to move into their new family home. In essence, they needed someone they could rely on, and in a hurry. Depawater quickly carried out a site visit to ascertain what was needed for this young family to complete the property sale and move into their new dream home. After carrying out percolation tests to confirm the land was not suitable for a drainage soakaway field, Depawater discovered an old land drain (waterway) within the boundary. This land drain was an ideal area to discharge the treated effluent from the proposed new Tricel sewage treatment plant. Further investigations uncovered that the existing foul drain pipes were buried very deeply in the ground. This fact would prove to be another obstacle to overcome. The solution though was quite simple. A Tricel Novo UK8 with a pumped outlet and a 40-metre percolation pipe. The pipe would deliver the discharge to the existing land drain within the boundary. That was all that would be required. Depawater immediately filed for the new consent to discharge from the Environmental Regulator proposing this outlined solution. Upon approval, we quickly set about fitting the New Tricel Novo UK8 domestic packaged treatment plant on site. This job was complete within two days, and the sale got finalised to the delight of the new owners. 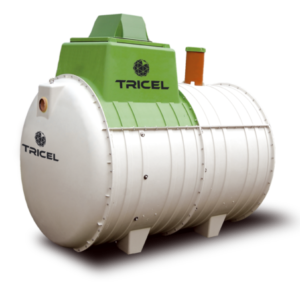 The Tricel tank which got supplied, installed and consent approved by Depawater proved to be the ideal solution and the light at the end of the tunnel that the family had been looking for all along. 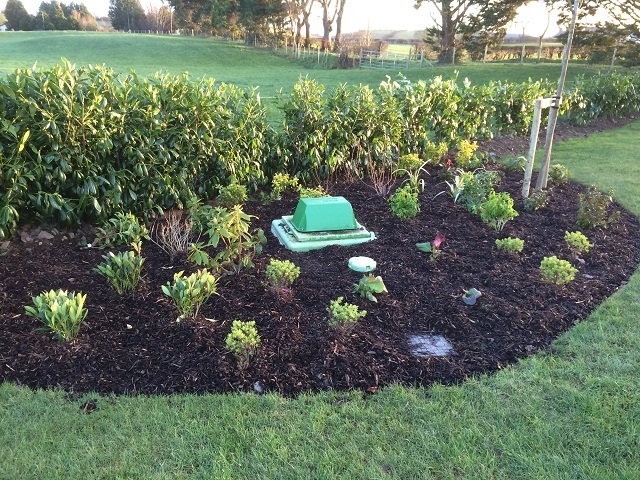 If you require a new septic tank solution or sewage treatment plant, or if you are having problems with your consent to discharge, contact Depawater. We have the perfect solution for all your requirements.